Everybody on the planet knows how much I love selling. It is a skill and art I developed from the age of 5 out of sheer necessity and a lack of money. I believe it is one of the best and most important success skills. Today, no job is secure. We are seeing even CEOs being fired and in the near future, Artificial Intelligence and automation will take up a lot of jobs. Drivers, manufacturing, travel agents, retail and millions of other jobs will be lost to automation. This is a fact and nobody can deny it. In such a world, one thing that will always be needed more and more is the skill of selling. Since the beginning of time, the world’s most successful people have sold something or the other. The people on the top are always the ones selling. Great Prophets, Presidents, CEOs, HR heads, Artists all have to sell a vision and an idea. Edison was a great salesperson and was a master of selling his ideas and inventions to the public and to investors. This is why he became so rich. Successful doctors are the ones with excellent persuasion and people skills. Imagine two doctors with the same degree of knowledge and one is extremely rude and doesn’t understand you and the other is friendly and listens to you, which one would you go to? I personally hate rude doctors and not only don’t go to them, I make sure everyone I know doesn’t. One doctor in my area now has an empty clinic, thanks to their rude behavior. Even when it comes to relationships, friendships and people, how you sell yourself, how you behave and communicate decides your success. Why is it that some people are single and lonely for life? Terrible sales skills. During my seminars, I always tell people that sales is something all of us do every moment. It is just that some of us don’t know we are selling. Life is about selling and persuading others to do things we want them to do. Those who master this skill move ahead very easily. In today’s world more than ever, success depends on how well you are at persuasion and sales. The reason I got into sales at the age of 5 is because it doesn’t discriminate. I didn’t have to have any money to sell, it didn’t matter if I was white, black or brown. It didn’t matter whether I was a boy or a girl. It didn’t matter that I didn’t have any formal education. It didn’t matter which section of society I came from. That is the beauty of sales - it is fair and gives a chance to everyone to move ahead in life, provided they are ready to develop their skills and invest in themselves. The fortunes of men and women, the fortunes of companies and nations have all changed in a very short period of time because of the power of sales. Even as an author, all my books are ‘bestsellers’ – nobody says they are the best written, even though they are! I am not in sales but you are right Yogesh we are selling every time....really hit me! So true - nothing beats the power of sales! I did not like the way how you targeted singles! Very wrong - maybe some of us want to be single out of choice? What do you say to that?????? Somitra you are taking things the wrong way rather than looking at the postive. I am a doctor and realized after reading this why some of us are successful and not - I wish medical school taught us more about this. Thanks for sharing this Yogesh! The main thing stopping me from selling is my fear and yes you are so right once we overcome this fear anything becomes possible. Somitra, if you want to be single by choice, you should be happy and not get angry with what I say. If on the other hand you don't desire to be single for life, let go of what is holding you back and you will attract incredible people. What I share is based on real people and my experiences with them. In the beginning what I say seems harsh and rude. It shocks people. But then it brings change and results. You have already started thinking and this is what I want. 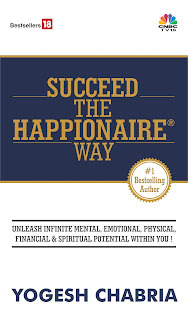 I read the Happionaire...Yogesh. It opened my eyes to a whole new world. Please write such books that give vision and centeredness. I extended numerous favours to everyone. I sent a series of emails in 1995-97 to Reliance Industries to set up a 27 mn tonne crude oil refinery seeing non-creation of capacity by public refiners on account of huge subsidies, a 32 mn tonne eou crude oil refinery, entry into financial services, acquisition of IPCL and the Reliance management gaining competency in petchem cycle, later entry into retail and advised them to set up shops of the size of kirana stores. An email to the Tatas to venture into passenger cars, small budget hotels as India's per capita income would still be US$ 5,000, acquisition of Tetley or Lipton to enter packaged tea business as it was a commodity producer, increase the shareholding in the cash cow TCS to 74% and still small compared with China which would be in tens of thousands of dollars. An email to Amitabh Bachchan when he became bankrupt to start a show like KBC, Shahrukh Khan and Reliance to bid for two IPL Teams. An email to Raghav Bahl to set up a channel collaborating with CNBC and selling it to Mukesh Ambani for a profit when it was making losses due to venture into films. 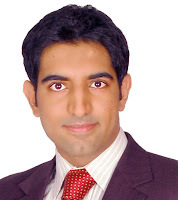 Now I am working to save the IT industry as USA would experience hyperinfation, food riots and 90% depreciation of the US Dollar due to heavy selling of dollars in the 2019 crisis and preventing a 3rd world war from 2037 to 2064 brought about by global warming due to the comet and an asteroid impacting the earth.